The easiest way to manage your family’s grocery shopping—and it’s FREE! "I love technology, but I also love simplicity. I've found the best of both in OurGroceries." —The Kitch review "After more than a year of using OurGroceries, we have been very satisfied." —Anne vs. Home review OurGroceries automatically keeps your family’s grocery list up to date with the latest changes—on every family member’s mobile phone, and our website. Nearly out of milk? Add it now on your phone and your partner can pick it up on their next shopping trip. 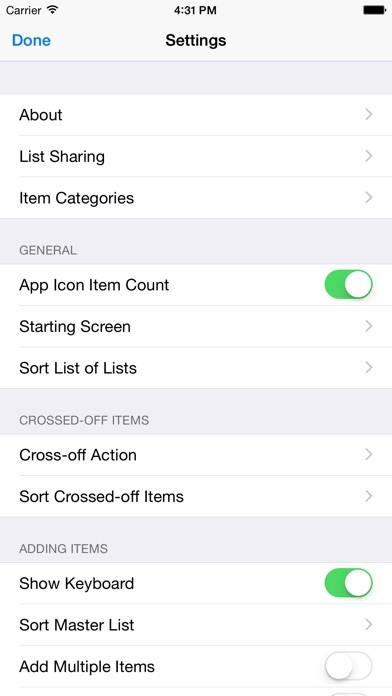 Every change to your shared shopping list is visible within seconds on any other iPhone, Watch, iPod touch, iPad, or other smartphone grouped with yours. See items being checked off as your partner shops! 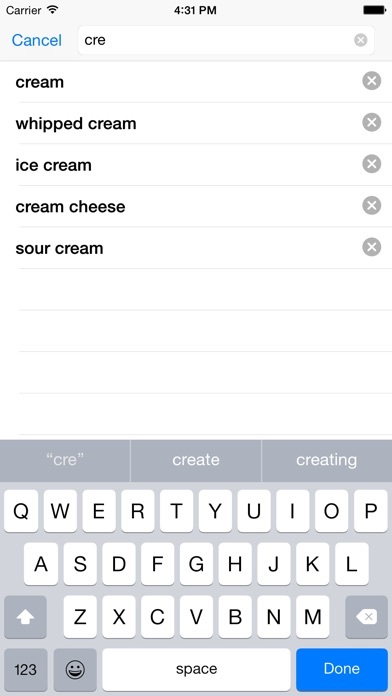 Add items with Siri! You can also keep track of the key ingredients in your favorite recipes and add them all at once to your shopping list. FEATURES: • Take your shopping lists with you wherever you go. 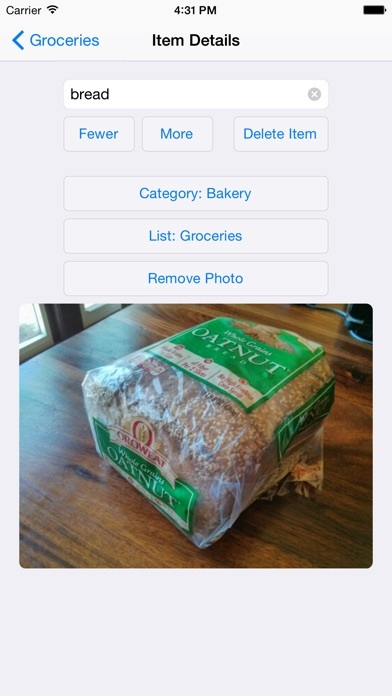 • Share shopping lists amongst everyone in your household. Simply enter the same email address into each copy of the OurGroceries app. 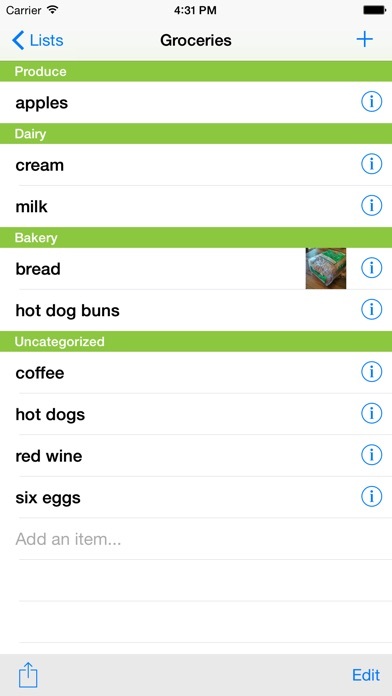 • Add items quickly: on-the-fly completion searches prior shopping list items as you type. • Cross items off the shopping list with a single tap. • Create as many separate shopping lists as you wish, or keep it simple and just use one. • Organize your items by category or aisle to make shopping faster and easier. • Add a photo to an item to make sure your partner gets exactly the right one. (Premium version only.) • Browse your favorite meal ideas anytime, anywhere. 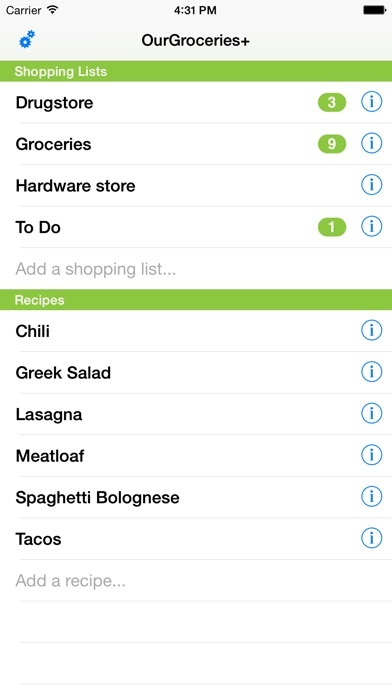 • Add all the ingredients for a recipe to your shopping list with a single tap. • All your items, lists, and recipes are automatically backed up onto the Internet. Upgrade, replace, or reformat your phone without worrying about losing your data. • See and edit your lists and recipes from any desktop web browser. • Versions available for other popular mobile phones too, in case your partner doesn't have an iPhone, iPod touch, or iPad. Visit https://www.ourgroceries.com for more information.